Betting News > Football > Euro 2016 > Euro 2016 Burning Question: Who fills Italy’s injury-ravaged midfield? 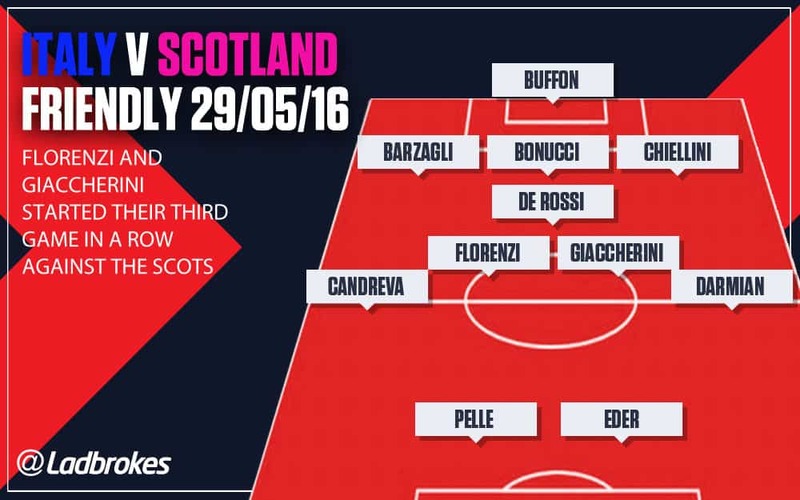 Euro 2016 Burning Question: Who fills Italy’s injury-ravaged midfield? Having used the most players of any nation during qualifying, it may surprise Antonio Conte to find these pages narrowing the unanswered questions about his Italy side ahead of Euro 2016 to just one. Any number of issues could have featured. It is unclear, for example, whether the incoming Chelsea boss uses a back four or sticks with the three-man rearguard he is noted for. Who steps up to become a regular source of goals is another concern. However, after injuries to key figures in the Azzurri’s midfield, finding enough trusted bodies to fill out the middle band is priority number one. 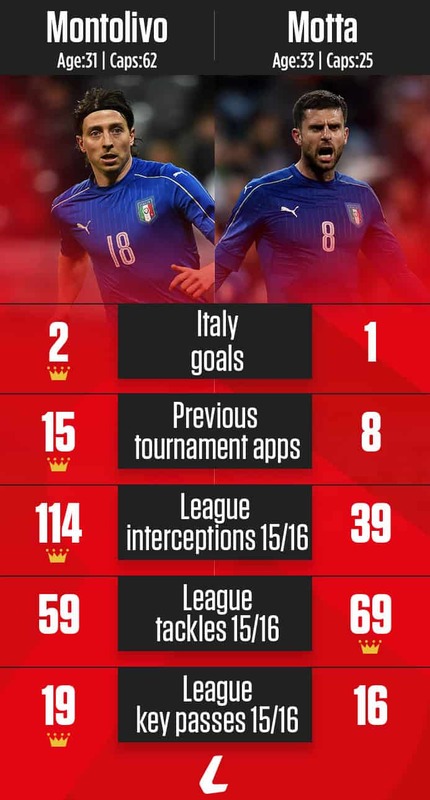 Both Marco Verratti and Claudio Marchisio are ruled out of the tournament, which makes the decision not to include MLS man Andrea Pirlo all the more suspect, especially as the Italians went through qualifying as the lowest-scoring table toppers from the groups with six teams. Drawn in Group E – dubbed this tournament’s most deathly – alongside Belgium, Sweden and Republic of Ireland, Conte’s men remain well respected at 2/11 to qualify for the knockout rounds. Escaping the mini league appears to be their ceiling though, unless a midfield gem emerges. Continuing the open audition process that was held during qualifying, Conte named a whopping 30-man preliminary squad on May 23rd and has played three friendlies since. A back three has been preferred in each of those encounters, with the side trialling both a five and four-man midfield ahead of it. It has brought mixed success. A 1-1 draw with Spain using 3-4-3 but was followed by a 4-1 drubbing at the hands of Germany when lining up in the same system. The switch to 3-5-2 for the recent 1-0 win over Scotland looked to have plugged a few holes, but the lack of goals in the side – Italy also only managed to net once in each clash with Malta during qualifying – is frustrating fans. Only two midfielders, Roma’s Alessandro Florenzi and Sunderland outcast Emanuele Giaccherini, have started all three outings. With Conte adopting an intense high-press, it appears the tenacity of natural wide-men Florenzi and Giaccherini will land them a starting spot no matter the system. To find the final piece of the puzzle the manager must pick between two elder statesmen; Riccardo Montolivo and Thiago Motta. Of course, if Conte opts for 3-4-3 then both could start, as they did in the loss to Germany. However, in keeping with the general theme of the squad, both are carrying their own knocks and were not risked against Gordon Strachan’s men. Another familiar face, Daniele De Rossi, also comes in to the mix, but, yep you guessed it, has had his own fitness issues this season and has not featured as regularly for Roma as a result. Given that the side are generally short of goals and incisive passing, leaving Pirlo and Sebastian Giovinco at home could prove costly. 37-year-old icon Pirlo has made 26 key passes for New York City so far this season, while Giovinco has backed up his 22-goal haul for Toronto FC with eight in 13 games this term. Conte’s argument when announcing his travelling party was that the pair were left out for playing in an inferior league, however the case could be made to include both considering they are in form in two areas the current crop desperately lack. Nevertheless, Italy plough on without them and open their Euro 2016 campaign with the toughest possible opponent. They can be backed at 2/1 to beat Belgium on June 13.